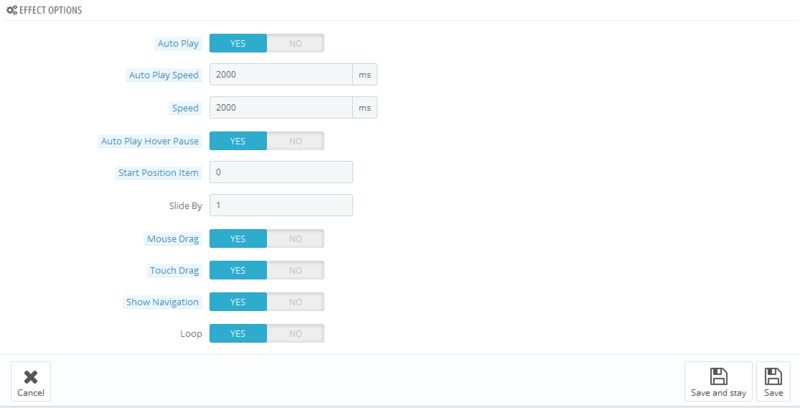 This guide will help you install SP Product Detail Sliders – Ver 1.0.0 module step by step. 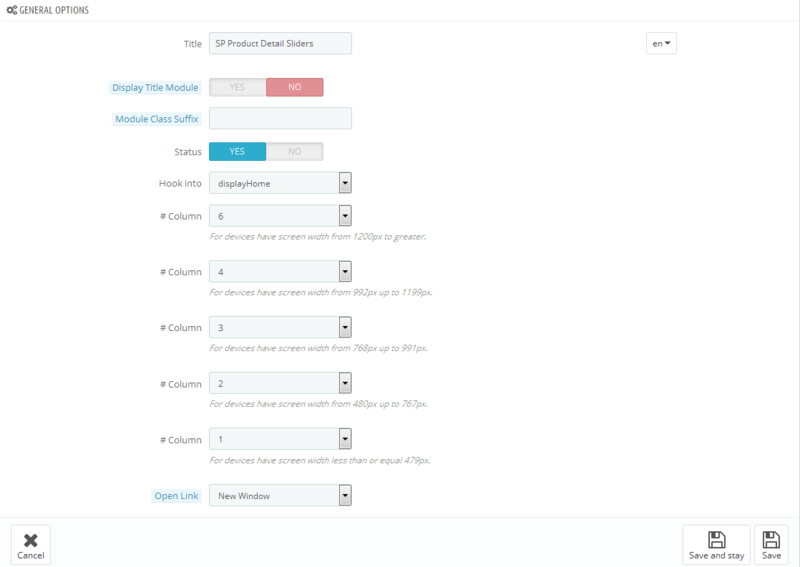 Step 2: Click "Choose a file" button to select your module .zip file named as "sp_product_detail_sliders_p1.6-res_v1.0.0.zip" that you have downloaded, then click "Upload this module" button. Hook into - Select Hook into in the list box. 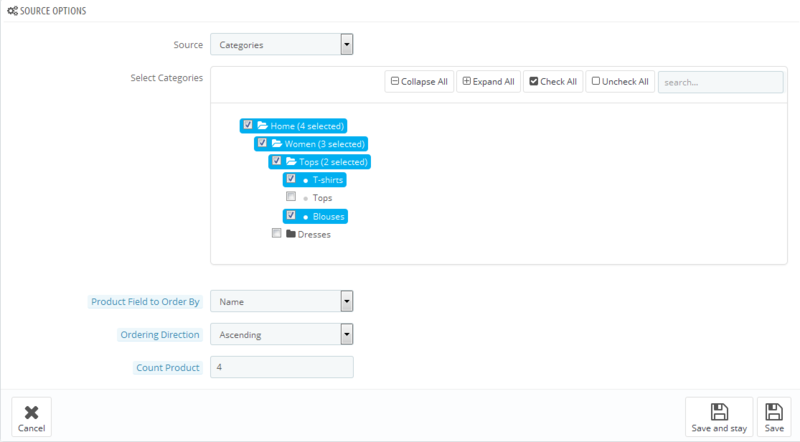 Please click Here to read more How To Create Custom CMS Hook Page. 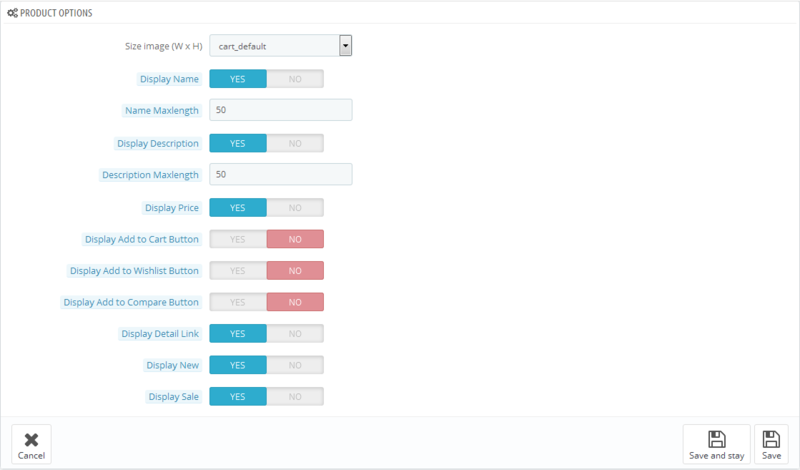 Source – Allow to select: Categories/Product. Select Categories – Allow you to select Category. Product Field to Order By – Set Product Field to Order By: ai?? ?Name/ID/Date Add/Price/Sell/Position/Randomai???. View image (W x H) – Allow to sellect the size image from the dropdown menu. Size image (W x H) - Allow to sellect the size image from the dropdown menu. Display Description - Allow to display the description of each product. 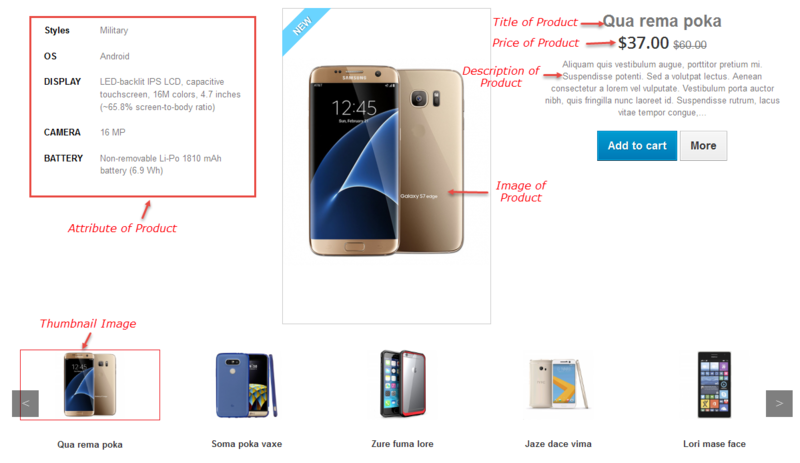 Display Price - Allow to display the product price. Auto Play Speed ai??i?? Allow to set transition speed of slider with unit of milisecond. Auto Play Hover Pause ai??i?? Allow slideshow effect stop when hover OR NOT. Start Position Item ai??i?? Allow to set item that is displayed at first when you run slider. Slide By ai??i?? Allow to run slide from sub category. Touch Drag ai??i?? Allow to Show Touch Drag or not. Show Navigation ai??i?? Allow to Show Navigation or not. Loop ai??i?? Allow to Show Loop or not..